Not in stock. Available To Order. For three years, Warren Lehrer and Judith Sloan traveled the world by trekking the streets of their home borough. This book documents the people they encountered along the way. First person narratives are illuminated by strikingly direct photographic portraits of the subjects alongside the objects of their worlds. 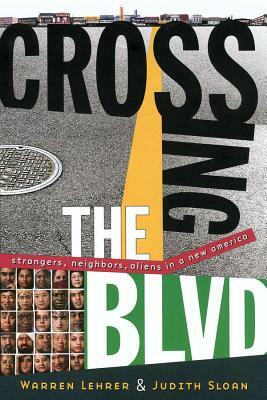 Lehrer's postmodern, Talmudic design juxtaposes the multiple perspectives of these new Americans, now thrown together as neighbors, classmates, coworkers, enemies, and friends. They reflect on the good, the ugly and the unexpected in their stories of crossing oceans, borders, wars, economic hardship, and cultural divides. These soulful narratives are put in context by the authors' personal and historical observations. The voices, images and sounds collected here form a portrait of a paradoxical and ever-shifting America. Sign Up For The Shelf Talker!